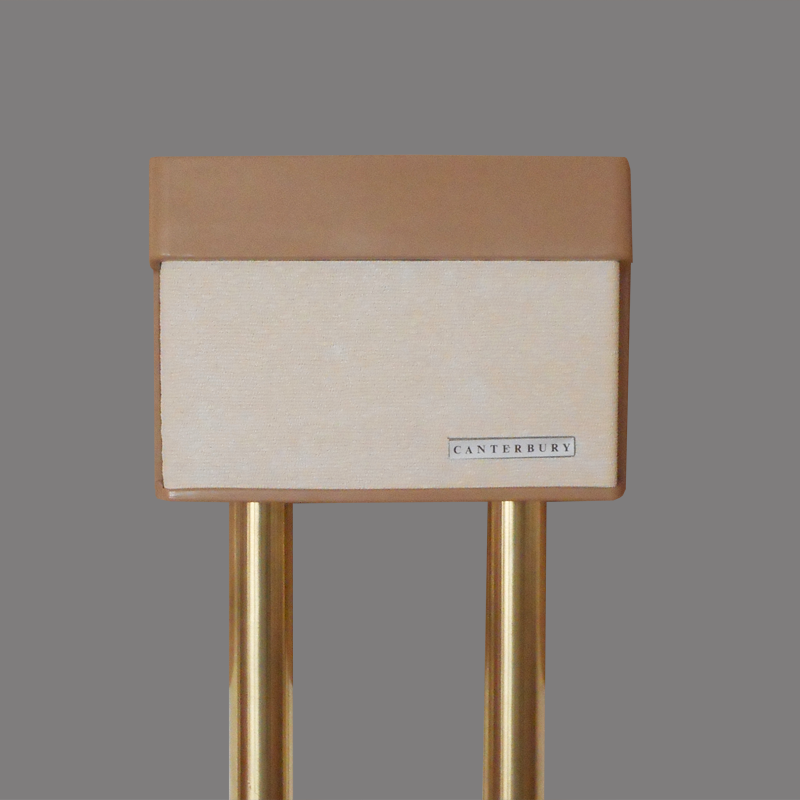 This mid-century chime has a styrene plastic cover with a textured vinyl insert. Manufactured by Morphy-Richards in 1964. England. 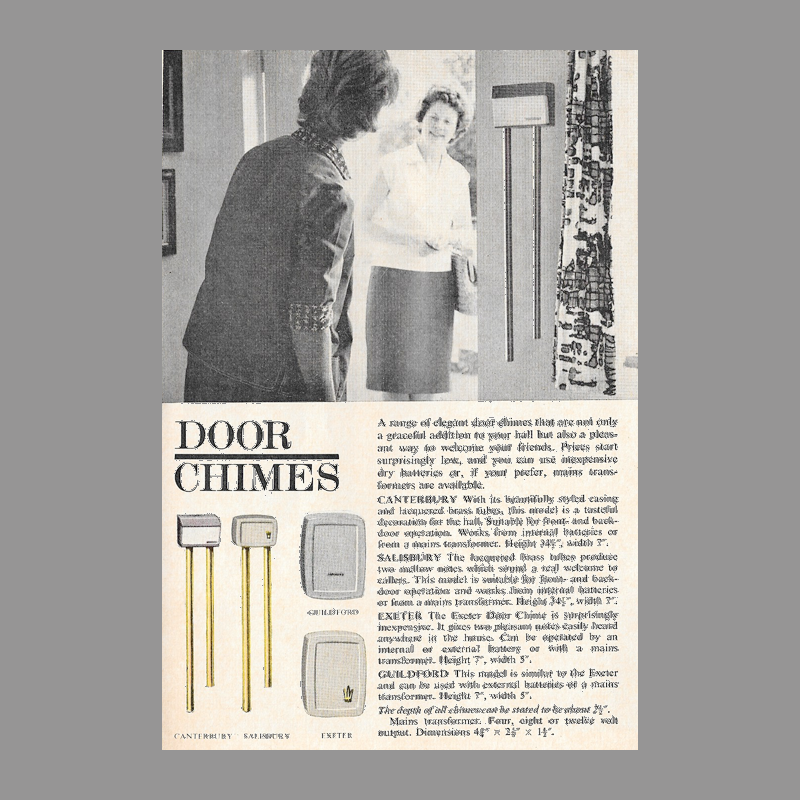 A range of elegant door chimes that are not only a graceful addition to your hall but also a pleasant way to welcome your friends. Prices start surprising low, and you can use inexpensive dry batteries or, if your (sic) prefer, mains transformers are available. A sister model was marketed simultaneously as the Salisbury. Both the Canterbury and Salisbury employ the same mechanism and both have the longer bell on the right side although the catalog shows placement on the left. 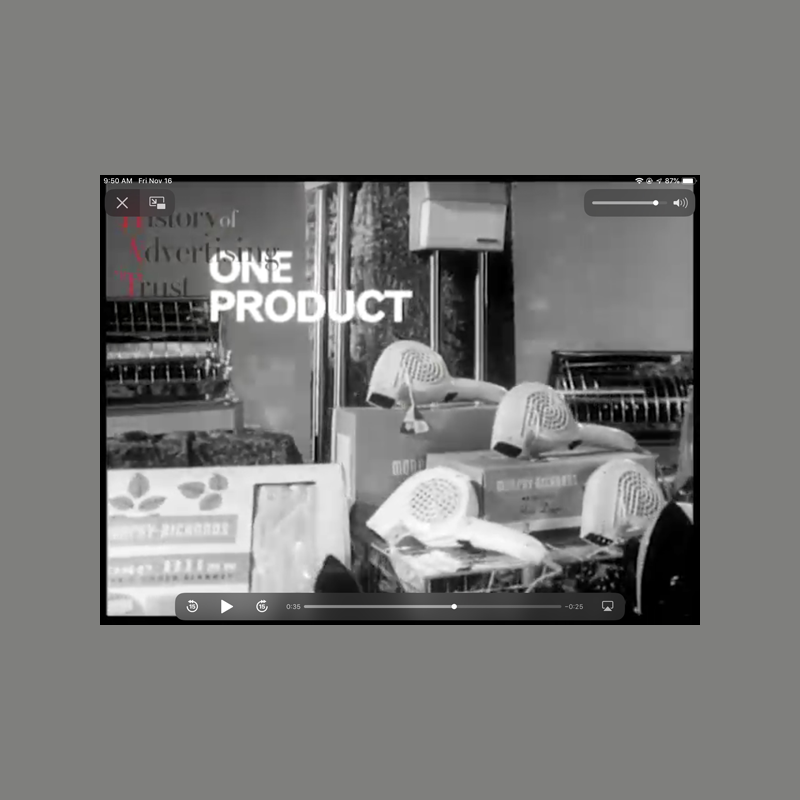 The Canterbury was featured in a 1964 British marketing campaign in partnership with Lever Brothers. 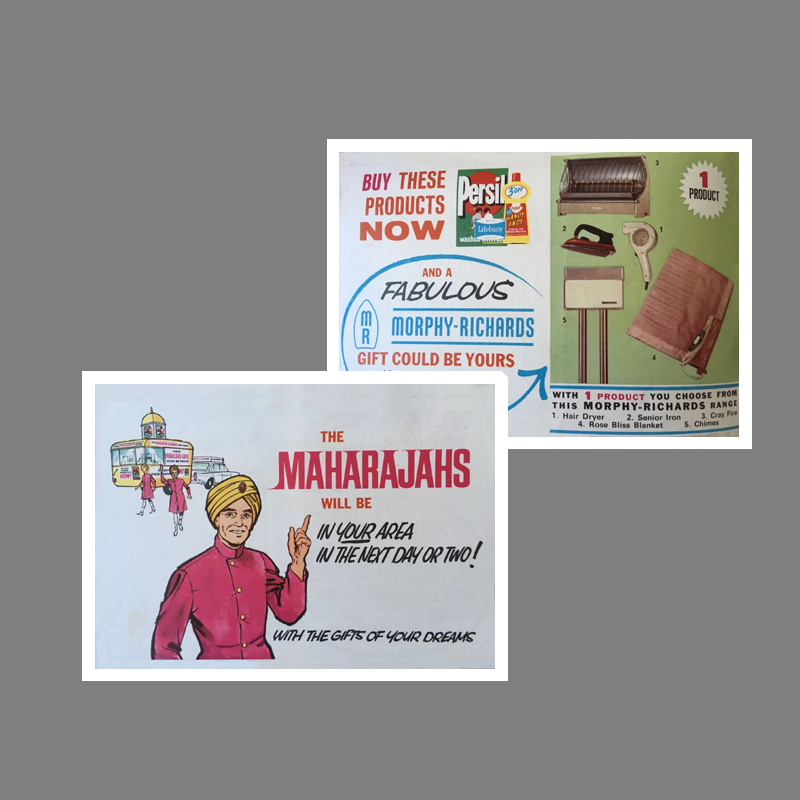 Representatives of Lever Brothers dressed as “Maharajahs” visited select households and if the lucky resident presented one, two, or three Lever Brothers Brands, they were awarded their choice of Morphy-Richards products. The Salisbury was a level one prize. In addition to the sweepstakes, the campaign was supported with a caravan that visited town-squares along with print and television advertising. 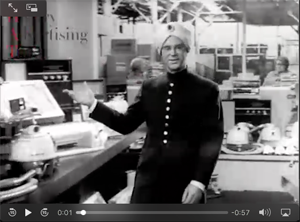 The TV ad in it’s entirety can be seen here. Watch for the Salisbury Chime at the 33 second mark. Watch for the Canterbury Door Chime at the 33 second mark. 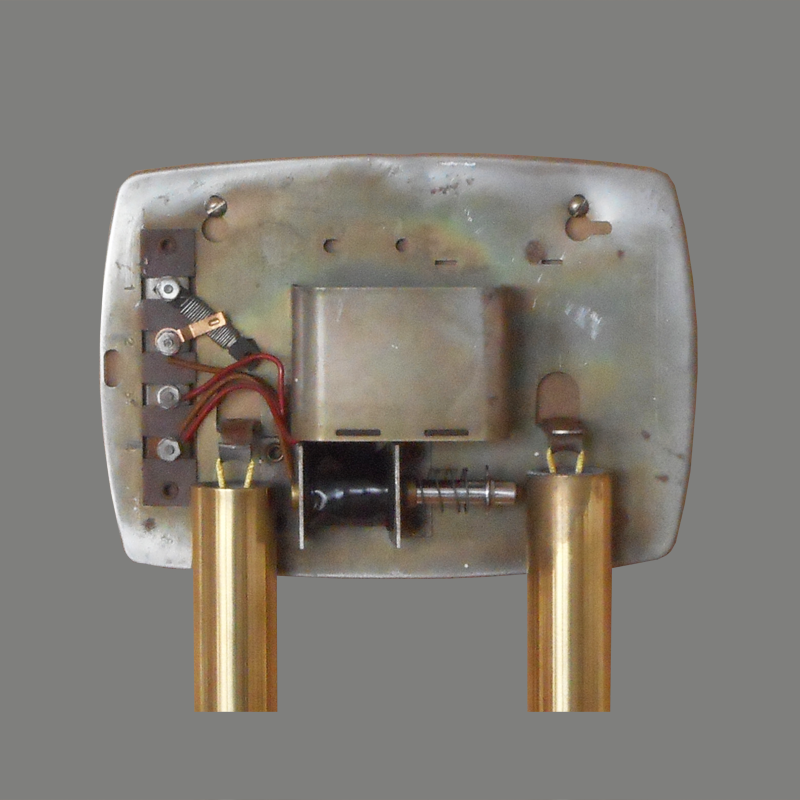 This Morphy-Richards chime should not be confused with other chimes bearing the name Canterbury. Cover Styrene plastic with textured vinyl insert.